Among the survivors of the Humboldt Broncos bus crash, some have managed to heal more quickly and have returned to the world of hockey. Others may never walk again. One thing they have in common: All 13 young men have made immense efforts to get where they are today, one year after the collision on April 6, 2018. 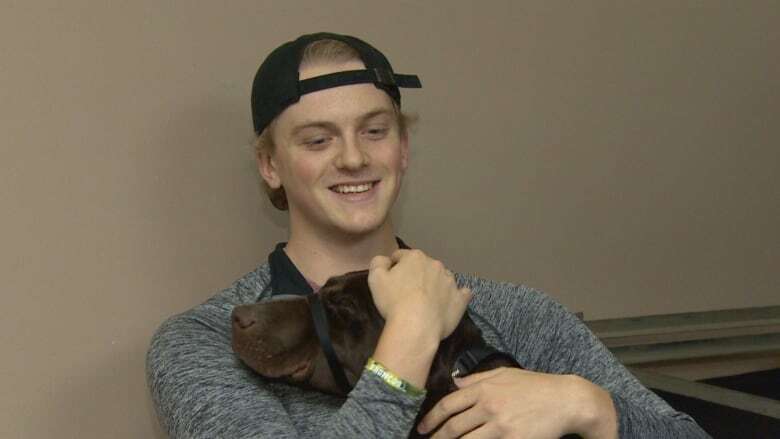 The Humboldt-born defenceman was badly hurt in the crash, and was the last player to be released from hospital on March 4, 2019. Gobeil’s family said a traumatic brain injury has left him unable to speak or to walk, even after spending hours in physiotherapy. “The road is long and challenging, but we are confident Morgan’s work ethic and determination will be the cornerstone of his recovery!” his family said in a written statement last month, noting his condition has greatly improved. During the 333 days he spent in hospital, Gobeil graduated from high school and celebrated numerous occasions, including his brother’s wedding and his 19th birthday, the family said. 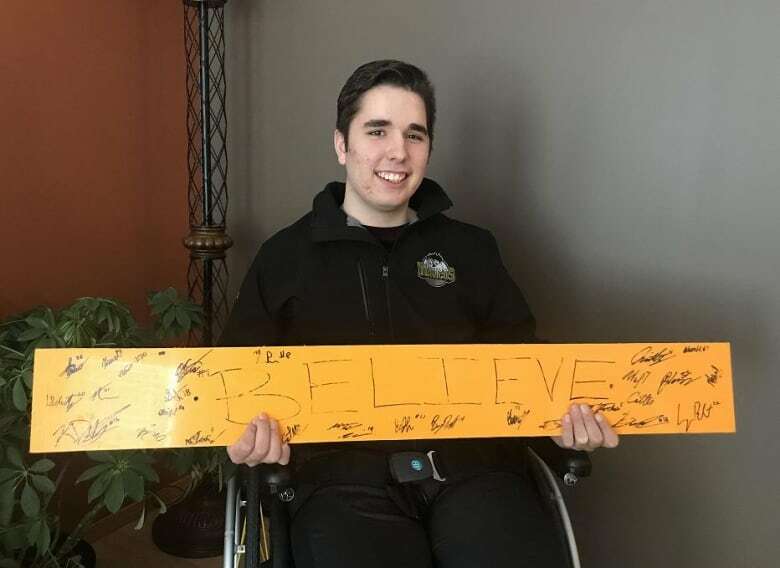 Just over two months after suffering a subdural brain hemorrhage in the crash, and having surgery to repair a fractured shin and fibula, Edmonton-born Derek Patter posted a video on June 26, 2018, as he returned to the ice for the first time. Patter spent the summer training and joined the team’s starting lineup in September. Returning to the Broncos has not always been easy. He continues to struggle with his leg and a surgeon has recently told him he has more healing to do. After a severe concussion, and losing feeling in one arm and his neck, Brayden Camrud considered himself “very lucky” to be alive after the crash. “I’d say I’m close to 100 per cent now,” he said in September. The Saskatoon native returned to play with the Broncos this season for his final year of junior hockey eligibility, scoring 55 regular season points and 12 more during the playoffs. The crash left the Saskatoon-born defenceman with 16 spinal fractures, a traumatic brain injury and deep facial lacerations. Xavier Labelle’s face was so badly injured the coroner misidentified him as deceased goalie Parker Tobin. After spending 62 days in hospital, LaBelle continues to undergo physiotherapy and numerous surgical interventions to repair nerve damage affecting his legs and his left shoulder. 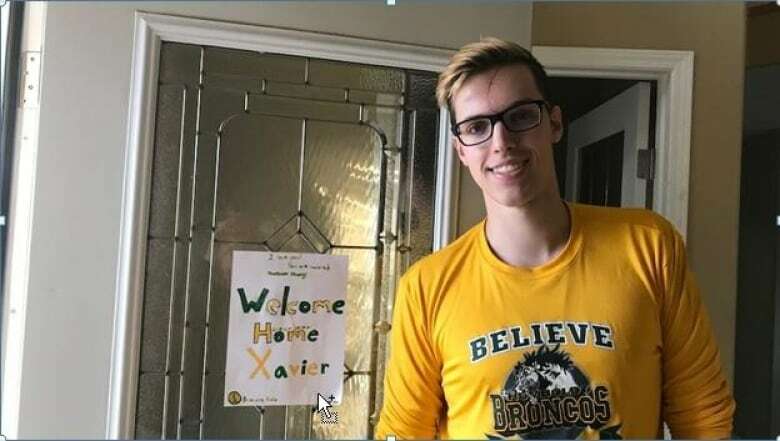 “We went from devastating grief to absolute relief and joy that Xavier had survived this horrific, horrific tragedy,” his father, emergency room doctor Paul LaBelle, recently told Rogers Hometown Hockey. Labelle is able to walk, but continues to require medical care. He was released from hospital two months after the crash and has no recollection of the terrible event. In September the Saskatoon Blades hired Xavier as a hockey operations assistant, and he’s also an assistant coach with the Saskatoon Contacts midget AAA team. After breaking his collarbone, shoulder blade, ribs and suffering a stroke in the crash, Tyler Smith was determined to rejoin the Broncos in November 2018. Smith played 10 games before deciding to continue his recovery at home in Leduc, Alta. Smith now has an arm tattoo honouring his former coach Darcy Haugan, along with 16 winged angels over his heart. “I know and feel that my angels are always with me, I love you all and miss you all so much,” Smith tweeted. An outspoken advocate for players with diabetes since his own Type 1 diabetes diagnosis at age four, Dalhgren had a lengthy recovery after the crash, in which he suffered a fractured skull, a puncture wound in his head, a brain injury and six broken vertebrae in his neck and back. Last summer, Dahlgren chose to follow in the footsteps of his deceased coach, Mark Cross, accepting an offer to play hockey at York University. The Strasbourg native still wears number 16, but suffers the effects of the brain injury and cannot yet play full-contact hockey. The crash left defenceman Bryce Fiske’s jaw broken in four places, with fractures to his neck, skull, pelvis and left shoulder. 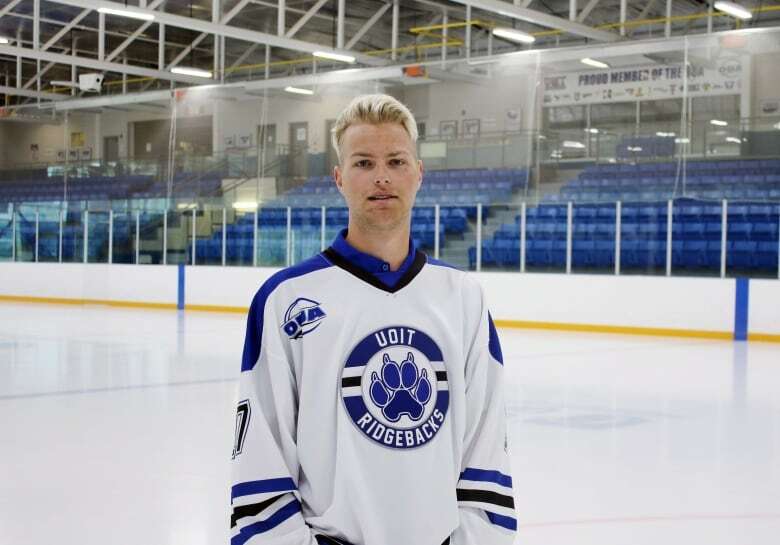 Originally from La Ronge, Sask., he moved to Toronto in June, after accepting an offer to study commerce and play hockey with the University of Ontario Institute of Technology Ridgebacks. Gomercic suffered a concussion, separated shoulder and numerous lacerations in the crash. 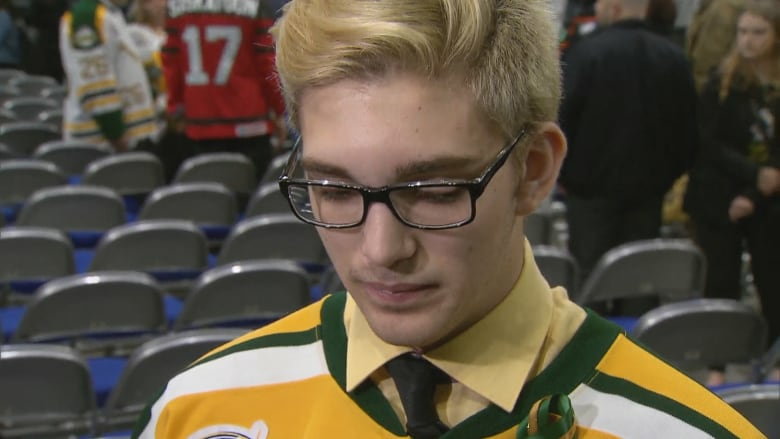 He was one of the first players released from hospital, heading straight to a vigil in Humboldt for the victims. 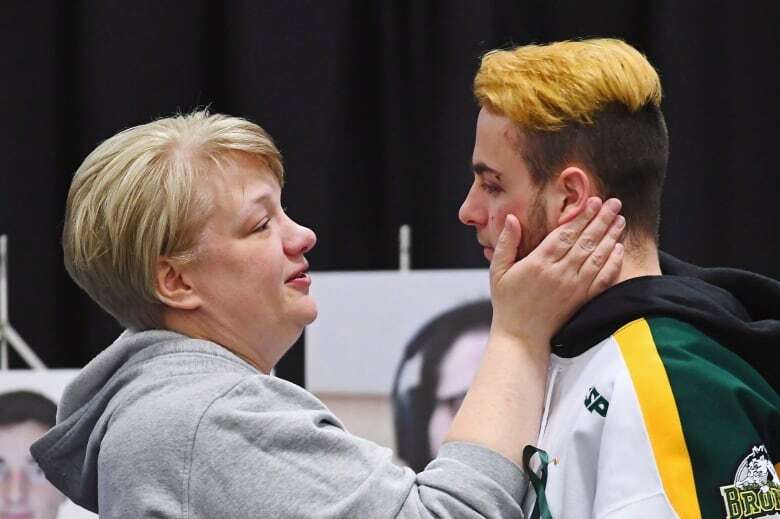 “My son remembers moments before the accident and then remembers waking up outside the bus in the middle of this disaster,” his mother Joanne Girard-Gomercic later told a court hearing. 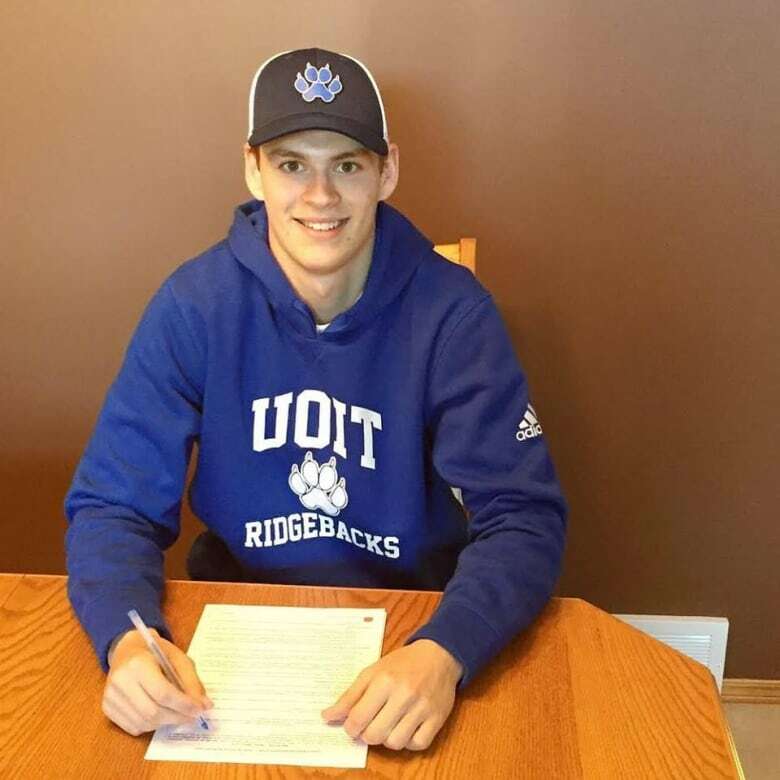 Like Fiske, Gomercic was also recruited by the University of Ontario Institute of Technology Ridgebacks and is currently majoring in kinesiology. Shumlanski’s parents watched the Broncos’ bus pass their family farm just seconds before the crash. With a broken bone in his back and a fracture behind his ear, the forward still managed to grab a phone lying in the debris to call home. “Both my parents and Nick were witness to sights that no person should have to see in their lifetime,” his older sister Sydney later told a judge at a sentencing hearing in Melfort, Sask. 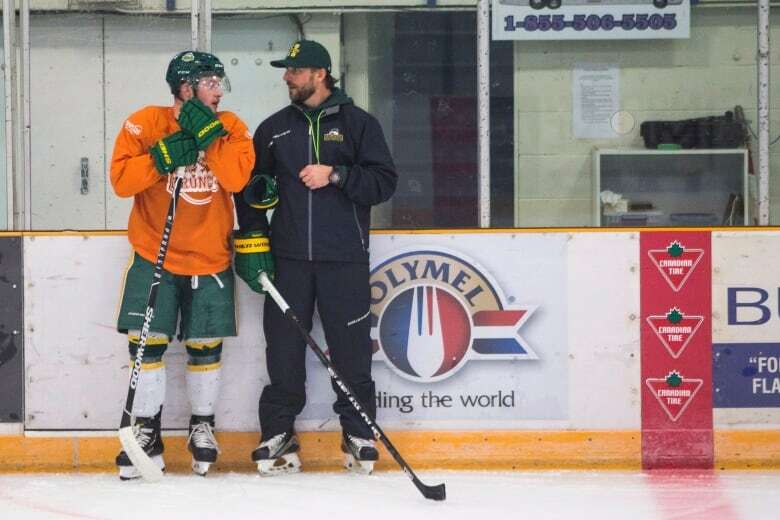 Like several of his former teammates, the Tisdale, Sask., native has also turned to university hockey, after being recruited by the University of Prince Edward Island Panthers. After scoring his first goal with UPEI on Sept. 26, 2018, in Moncton, Shumlanski pointed his glove skyward, a tribute to his former teammates. The crash left Graysen Cameron with a fractured back, a cracked orbital bone and a concussion. Originally from Olds, Alta., Cameron returned to the world of hockey by June as an assistant coach with the Red Deer Optimist Chiefs. In September, Cameron adopted a service dog to help him deal with emotional issues following the crash. “If I’m going through hard times or anything like that, he’ll be right by my side,” Cameron told CBC. The defenceman suffered a severe brain injury and extensive skull fractures in the crash, and both his lungs collapsed. He spent a month in a coma, followed by another five months in hospital. Matechuk can now walk again, albeit with a significant limp, as he works to regain his speech. “It is not possible at this point to determine the extent to which Layne will recover from the traumatic brain injury he suffered,” court documents noted. Originally from Colonsay, Sask., the Matechuk family has now rented an apartment in Saskatoon to be closer to Layne’s rehabilitation facilities. “He continues to amaze us,” Kevin Matechuk told CBC. Paralyzed from his chest down, Ryan Straschnitzki and his family spent months living in a hotel while their home in Airdrie, Alta., is renovated to accommodate a basement apartment for their son. Straschnitski refused to give up on the sport he loves. In August he started working out with Chris Cederstrand, the former coach of Canada’s national mens’ sledge hockey team, with his sights set on the 2026 Winter Olympics. 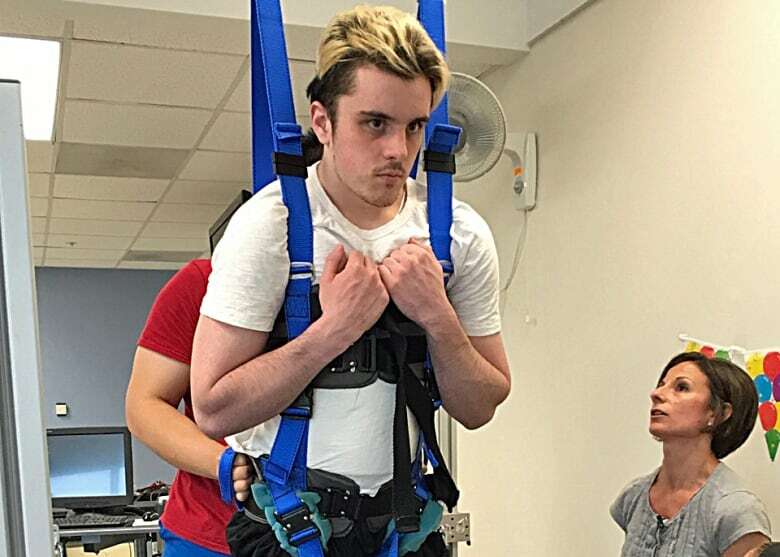 Celebrating his 20th birthday this month, Straschnitzki is heading to Thailand this spring for surgery involving an implant meant to stimulate nerves, which may give him the chance to move his lower limbs again. The goaltender emerged from the crash with a brain injury, two collapsed lungs, and a spinal cord injury that’s left him largely paralyzed from the waist down. 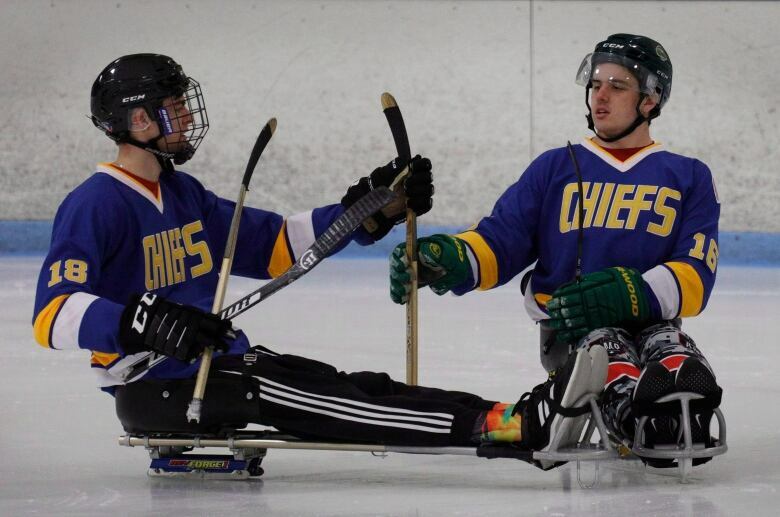 He and Straschnitzki both received a standing ovation at the University of Denver when they played in an exhibition sledge hockey game this fall. Wasserman and his family live have renovated their rural property just outside Humboldt, and modified his truck so he can drive again. “Obviously the goal is to try and walk again, but it is way, way down the road, if at all possible,” Wassermann told the Canadian Press in November.